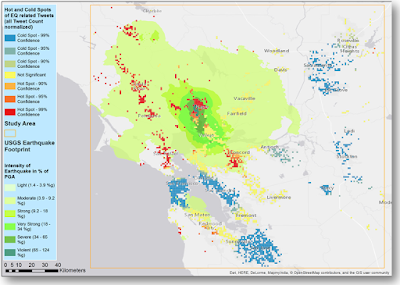 Current methods in disaster management, which are greatly based on remote sensing technology, suffer from severe shortcomings including a temporal lag of typically 48-72 hours, or limited spatial resolution. 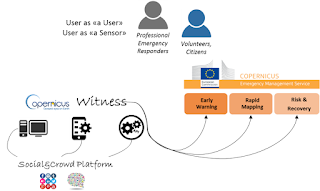 The E2mC project aims at demonstrating the technical and operational feasibility of the integration of social media analysis and crowdsourced information within both the Mapping and Early Warning Components of the Copernicus Emergency Management Service (EMS). The project started with a kick-off meeting in Rome last week. The project team will develop a prototype of a new EMS Service Component (Copernicus Witness), designed to exploit social media analysis and crowdsourcing capabilities to generate a new product of the EMS portfolio. Heterogeneous social media data streams (Twitter, Flickr, Facebook, Instagram, etc.) will be analysed and sparse crowdsourcing communities will be federated (crisis specific as Tomnod, HOT, SBTF and generic as Crowdcrafting, EpiCollect, etc.). E2mC will perform demonstrations within realistic and operational scenarios designed by the users involved within the project (Civil Protection Authorities and Humanitarian Aid operators, including their volunteer teams) and by the current Copernicus EMS Operational Service Providers that are part of the E2mC Consortium. 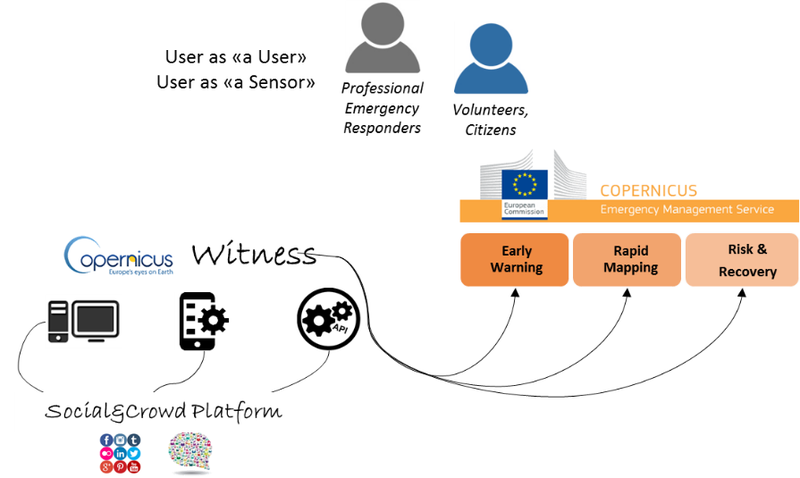 The involvement of social media and crowdsourcing communities will foster the engagement of a large number of people in supporting crisis management and increase awareness of Copernicus.